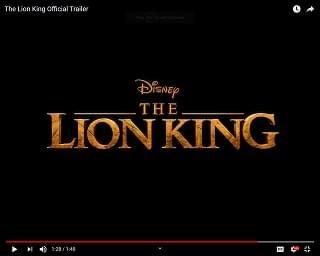 Disney released “The Lion King” trailer yesterday. Scar, the villain voiced by Chiwetel Ejiofor, narrates the clip, which gives fans the first up-close look at the CGI magic used to bring the animal kingdom to life. As you know, Beyoncé, Donald Glover, Seth Rogen, and Billy Eichner are all featured in the film, which is set to hit theaters on July 19th – 25 years after the original film was released.